2018 Toyota Sienna Trim Levels with Comparisons & Configurations. What 2018 Toyota Sienna Trim Level Should you Buy? What is the Difference Between the Trims? As the crossover market has taken off in the last decade, the minivan market was one of the biggest to see the consequences. With crossover vehicles now offering more stylish and versatile alternatives, minivan manufacturers had to rethink how they designed vehicles in order to offer a credible challenge to six- and seven-seat SUV models. The Toyota Sienna is one of the few minivans to have come out of the market transition with its sales numbers intact, thanks to a number of useful features and options, including being the only all-wheel drive minivan on the market. It also has been continuously improving since its third generation debuted in 2011. Last year, the Sienna got a new engine and transmission, while the 2018 Toyota Sienna gets additional standard safety and technology features, updated exterior styling, and improved options on several trim levels. With up to eight different trim levels, depending on the specific classification used, the Toyota Sienna is fairly customizable, though this can make deciding on the right trim level slightly difficult. 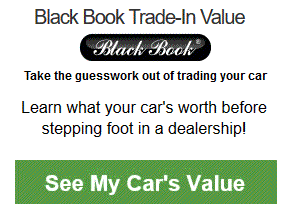 This guide helps shoppers avoid this indecision by listing an analyzing the equipment that is included in each of the different Sienna trim levels, as well as comparing how it stacks up with other options or packages available. Compare the 2018 Sienna L vs LE Trims. What is the difference? The L is the base model of the Sienna, and the one that has gotten the best out of the added new equipment for the 2018 model year. The base Sienna now comes standard with the full Toyota Safety Sense P suite, which includes forward collision warnings with automated braking, pedestrian detection with automated braking, lane departure warning, automatic high beams, and radar-based cruise control. It also includes the Entune 3.0 infotainment system with a 7-inch touchscreen display, limited app support, and a system that allows drivers to use their phone navigation system through the touchscreen display. The Sienna L comes with seven seats, fabric seats, three-zone automatic climate control, six speakers, a rearview camera, and 17-inch alloy wheels. Automatic transmission and front-wheel drive are standard on this model, with no additional options available. The LE is mostly a small upgrade on the L, but it does include some features that make it a more attractive family vehicle. Those include a powered driver’s seat and powered sliding side doors, as well as an upgraded infotainment system that supports HD and satellite radio. It also gets an easy-clean fabric upgrade, and comes standard with eight seats. It is also the first model available with all-wheel drive as an option. However, the all-wheel drive system comes bundled with the seven-seat configuration, which means that it is impossible to get all-wheel drive with a second row bench seat. The LE is also one of the models available with the Auto Access Seat - a special accessibility option that makes it easy for mobility-impaired passengers to get into and out of the middle row of the car. 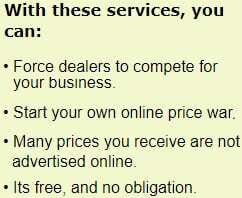 Aside from those, there are no other optional packages to choose from. The sliding doors and the all-wheel drive are the key features of the LE and can often be must-haves for a family with children, especially if they are younger. Similarly, the eight seat configuration can be a must for drivers looking to maximize their passenger space. The all-wheel drive is also one of the reasons why buyers often settle on the Sienna in the first place, which puts the L model in an awkward spot as it does not offer it. However, thanks to the new standard infotainment and safety systems, the L still makes for an excellent buy for buyers who are not particularly interested in having an extra passenger seat or all-wheel drive. However, buyers that are specifically looking for the combination of all-wheel drive safety and minivan utility will likely want to spend the extra to upgrade to the LE over the base L.
Compare the 2018 Toyota Sienna LE vs SE Trim Levels. What is the difference? Despite the best efforts of some errant designers, there is no such thing as a real performance-focused minivan yet, but the SE trim on the Sienna is at least somewhat performance-themed. It comes with larger 19-inch wheels and a sport-tuned suspension system, which give it a little more agility around corners, though not exactly enough to truly offset its inherent minivan bulk. It also includes a leatherette interior, a leather-trimmed steering wheel, a power liftgate, and a number of sporty trim pieces inside and outside the cabin. All-wheel drive is not an option on this model and it is only available with a second-row bench seat, but it does offer a couple of other optional packages. A power moonroof is one available option, and the Preferred Package is the other. The Preferred Package includes the moonroof, as well as blind spot monitors with rear cross traffic alert, a driver voice amplification system, a smart key with push button start, and a built-in navigation system. While the added optional safety features and the extra technology available on the SE are fairly nice, it lacks the additional versatility of the LE, including the Sienna’s killer feature - all-wheel drive. The performance components also feel like they go to waste on a minivan, creating the impression that the SE is more of a marketing gimmick than a legitimate option for most buyers. This is especially egregious given that the much-nicer XLE is also available for the same base price. Compare the Sienna SE vs SE Premium Trims. What is the difference? Somewhat on the border between being its own trim level and an option package for the SE, the SE Premium is basically the SE bundled with all of its optional features. It also replaces the leatherette interior with a genuine leather one, and includes a rear-seat entertainment system as well. Like the SE, it is available solely with front-wheel drive and eight seats, and has no further upgrade packages available. The SE Premium suffers from the same problem as the SE: the Sienna is not really a performance vehicle. In fact, it earns its reputation by being a reliable and safe family vehicle, which the SE and the SE Premium trim levels can’t really live up to due to lack of all-wheel drive. And while the SE faces some competition from the equally-priced XLE model, the SE Premium is more expensive than the XLE Premium while having mostly the same features. Just like with the SE, most drivers will want to avoid this trim level and opt for something less expensive, better equipped, or both. Compare the Sienna SE vs XLE Trim Levels. What is the difference? The XLE is the more upscale entry in the Sienna lineup. It adds a full leather interior, as well as a number of other useful convenience features, like power adjustment for both front seats, as well as fog lights, push button start, a blind spot monitoring system, and a moonroof. Like the LE, is is available with either front-wheel drive and eight seats, or all-wheel drive and seven seats. It can also be equipped with a factory navigation package, which not only adds a navigation system to the vehicle, but also the Driver Easy Speak voice amplifier and rear parking assist. The Auto Access Seat is also available on the XLE by factory order. While the choice between the LE and the XLE depends on how important leather seats and blind spot monitors are to the buyer in question, the choice between the SE and the XLE is simple: go with the XLE every time. For the same price as the SE, it offers a lot more standard features and is more versatile when it comes to seating and drivetrain. The only ones who might prefer the SE are fans of leatherette upholstery, but it is rarely either as durable or as comfortable as the genuine article. Aside from that, the XLE is pretty much superior to the SE in every way. Compare the 2018 Toyota Sienna XLE vs XLE Premium Trims. What is the difference? Just as with the SE Premium, the XLE Premium is a slightly more posh version of the XLE. It includes both most of the optional features from the XLE, as well as a number of its own unique features. The major upgrades when going from the XLE to the XLE Premium are the navigation system, smart key with push button start, and a rear seat entertainment system. Driver Easy Speak and parking assist are also included as standard in the XLE Premium. Aside from those features, the XLE Premium is the same as the XLE. Because the XLE already includes the leather interior, the main distinguishing feature between the two models is the rear seat entertainment system and the smart key. The XLE Premium costs roughly $2,000 more than a fully-equipped Sienna XLE, which matches up roughly to the value of a rear seat entertainment system. For drivers who absolutely need that system, the XLE Premium upgrade makes sense, but everyone else can probably stick with the regular XLE for additional savings. Compare the 2018 Sienna XLE Premium vs Limited Trims. What is the difference? As one of the two high-end Sienna models, the Limited builds on the XLE Premium with a number of nice appearance and convenience upgrades, making it an even more upscale version. The Sienna Limited has 180-inch wheels, a heated steering wheel, a dual-pane moonroof, front and rear parking assist, and a premium JBL sound system. It also upgrades the seating to a premium leather upholstery, with a power-folding third row and lounge-style chairs for the second row on 7-passenger models. Unlike the XLE Premium, it does not come with a rear seat entertainment system, and there are no other optional upgrades available for the Limited other than moving up to the highest trim level - Limited Premium. In general, the Limited model primarily trades on its looks over the two XLE models. The leather it features is slightly nicer, and the optional features it adds can be useful, but it adds little in terms of major upgrades aside from the premium audio. The power-folding third row adds a degree of convenience for drivers who are constantly switching between moving cargo and moving people, but for most buyers one of the XLE models will offer a greater return on investment. 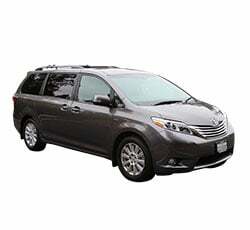 Compare the Sienna Limited vs Limited Premium Trim Levels. What is the difference? The Limited Premium adds a few features to the Limited to make it the pinnacle of the Sienna model lineup. Like all Premium models, it comes equipped with the rear seat entertainment system with two screens. The Limited Premium also adds high-intensity discharge headlights, rain-sensing windshield wipers, and a bird’s eye view camera for easier parking maneuvers. 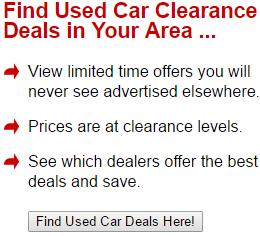 Aside from those features, it is exactly identical to the Limited and offers no options. It is only available with seven seats and an all-wheel drive configuration. The Limited Premium suffers from the same issues that the regular Limited does - it is competing with its own value-laden lower models that offer nearly the same quality for a much lower price. The Limited Premium offers a little more value than the regular Limited, as it does include some exclusive technology like the upgraded headlights and the 360-degree view camera. However, most auto shoppers are unlikely to consider those options worth the rather heavy price point of the Sienna Limited Premium. The sizable 2018 Toyota Sienna trim lineup offers several great hits to choose from, as well as a couple of misses. The entry-level L and LE trims offer a lot of standard features at a respectable price, appealing to those drivers who want a good selection of safety and comfort features without spending too much. The LE is likely to be most drivers’ preference of those two, thanks to the all-wheel drive option. The XLE is the best premium choice, thanks to its nice leather and a plethora of options, with the XLE Premium a good alternative for those who would like a rear seat entertainment system. The SE and the Limited trims have more questionable value. The sporty equipment and styling of the SE and SE Premium models is decidedly at odds with the image and market position of the Sienna, and competes with the much better XLE at the same price point. The Limited models, meanwhile, offer some good technology but fail to distinguish themselves strongly enough from the XLE models to be worth the price for most.